Fill a Stocking, Fill a Heart fills and distributes handmade Christmas stockings to Clackamas County agencies and their clients, young and old. Volunteers, working with the community, seek to brighten the Holiday season by filling the stockings with personal necessities and age appropriate gifts. 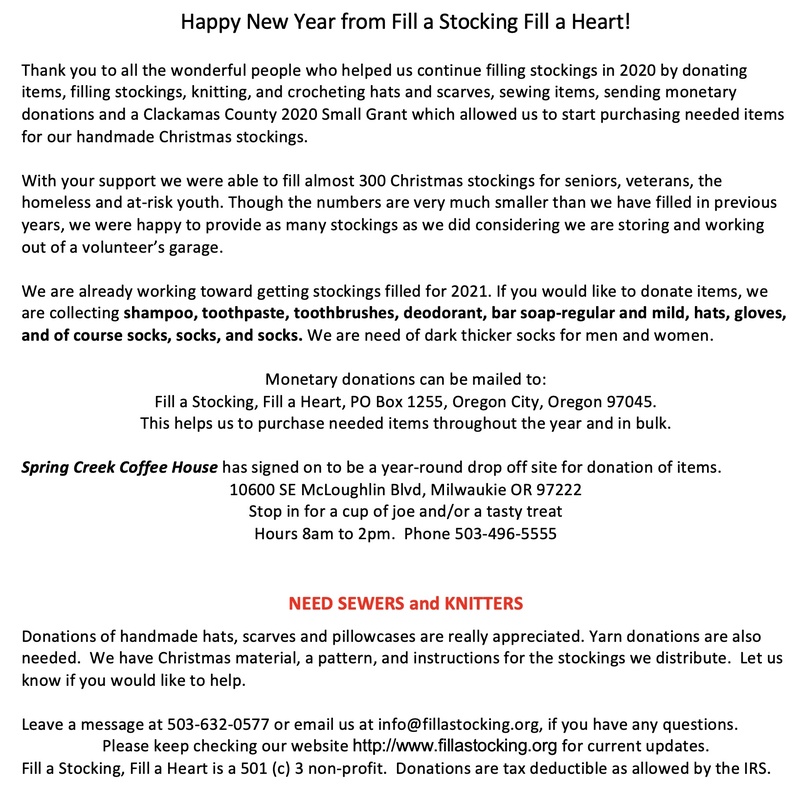 Fill a Stocking, Fill a Heart is a local non-profit 501(c)3 organization assisting agencies in Clackamas County by providing their neediest clients with a filled stocking during the holidays. For many, this is the only gift they receive. The program began in 1997 providing 500 stockings along with food baskets provided by Willamette Falls Hospital. We became an IRS approved non-profit organization in 2000 and now gift 2500 to 3000 stockings each year to over 20 agencies. Clients receiving stockings range from newborns to senior citizens, with the greatest need in the ages of 12 through adult. Our organization is run solely by volunteers - we have no paid staff. All funds go directly to running the organization for making and filing stockings. Volunteers sew stockings throughout the year. In October these stockings are available for the public to pick up, fill and return. Volunteers check each stocking to assure it contains basic items such as toothpaste, socks, and gloves, and then sort them by age and gender for each agency’s order. 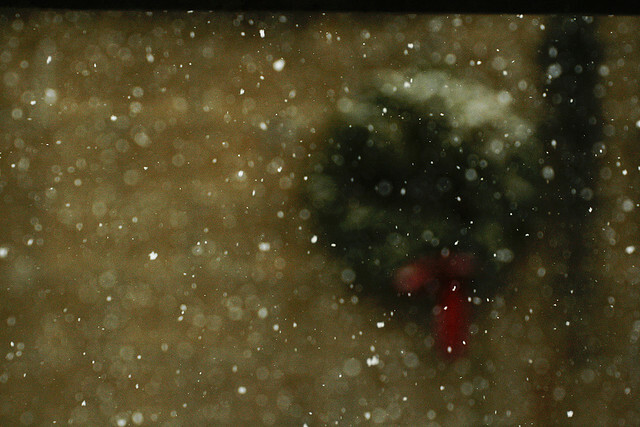 Do donated items and stockings fill all the needs? Although the public fills a large quantity of the stockings, volunteers at the workshop fill the remaining stockings with donated items or items purchased by our organization. Fundraising throughout the year and cash donations allow the Committee to purchase basic items and some gifts to add to stockings. Donations are tax deductible as allowed by the Internal Revenue Service.